What is Create + Cultivate? I’m still coming off of my creative high from last month’s Create + Cultivate event in Los Angeles! For those that aren’t in the loop with Create + Cultivate, it’s an online platform and conference that is designated for women looking to create & cultivate the career of their dreams. 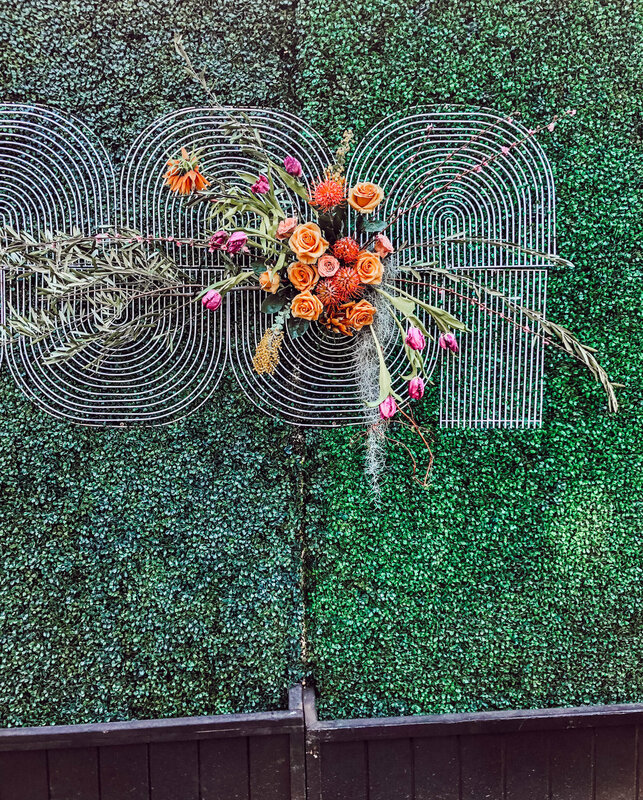 Primarily geared towards influencers/bloggers and business owners, Create + Cultivate is the epitome of #GIRLBOSS. Local blogger and friend Kelsey of Kelsey This Year and I decided to pull the trigger and get tickets and make a weekend out of a trip to LA, we didn’t quite know what to expect going into the conference but we were so excited to attend! 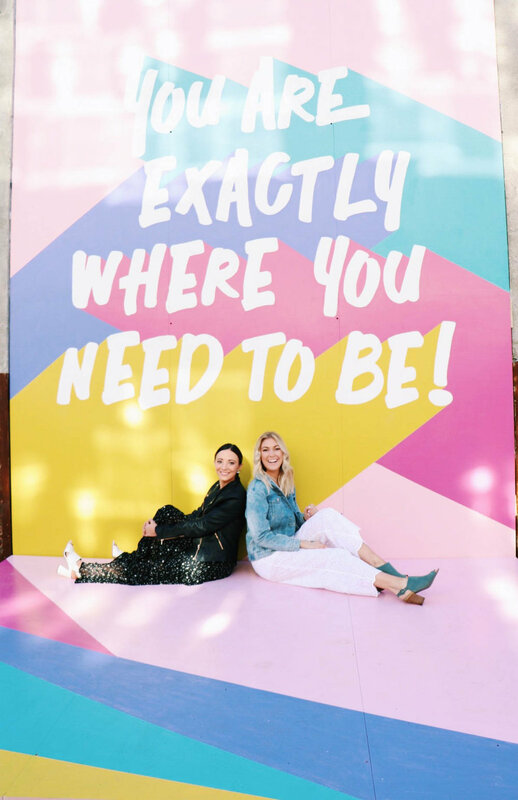 I wasn’t in Seattle the weekend of the Create + Cultivate conference (talk about FOMO), so it was fun to visit LA, one of my favorite cities with a fellow blogger friend and tackle this conference together! I opted for a stylish but comfortable outfit at Create + Cultivate. I wore my black and white star ruffle maxi dress from Target, I love this dress because it makes quite the statement but worn with a pair of heels it doesn't drown me. It's made of chiffon so it breathes nicely and has good flow for photos. My white Topshop studded block heels rounded out my look along with my blue The Daily Edited personalized crossbody for a pop of color. I also brought along my Blank NYC leather jacket for an added layer when the sun went down! Crawler earrings and minimal bangles were my go-to accessories to compliment this outfit. The day was jam-packed, I think my feet would have genuinely appreciated if it was a two-day conference. We signed in around 8am and we didn’t end up leaving until close to 9pm. All attendees are divided up into tracks: Track 1 and Track 2. Track 1 leaned a bit more into business and Track 2 (my track) was geared more toward influencers and those looking to get the most out of their creative outlet. I kept saying the entire day felt like an Instagram filter: magical, aesthetically-pleasing (I could post content from Create + Cultivate every day for months!) and just every influencer’s dream. Aside from the knowledge and advice we gained from key note speakers and panelists, we also were able to connect with some pretty fabulous fellow attendees that I still stay in contact with today! I also loved getting to meet and network with the influencers/creatives I admire in the greater creative community. In between panels/activities, we had breaks to take a moment to snap a photo, shop the “market” and check out installations and chit chat with various brands in attendance. It was a lot to soak in and snap a photo of – if you’re attending Create + Cultivate, here are some words of advice: bring a portable charger! I had two with me because I’m paranoid and refused to let my phone die. EQUIPMENT. Splurge when you can on high-quality equipment for recording. ORGANIZATION. Have some sort of structure when you’re planning out your episode. CONTENT BATCHING. Have more than one episode recorded at once. This will help you if/when you launch. Another panel I really enjoyed was Never Not Posting. It featured several of the beloved blogger babes (Damsel in Dior, Thrifts and Threads, etc.) hosted by Louise Roe. They discussed blogging strategies, brand perspectives affiliate links. All topics that are worth discussing when you’re a blogger. The main piece of advice that was echoed on this panel was authenticity and the importance of keeping this at the forefront of your blog or creative outlets. You never want to post content that doesn’t feel authentic to you or your followers. Your content should be relevant, personal and applicable. And it’s important to remember that it’s okay to be selective about what you post, when you post and how you post. The last panel I felt really resonated with me as a blogger was the One Milli panel. This panel featured influencers with over a million followers. These gals included Gal Meets Glam, Aimee Song and other creative girlbosses. I loved this panel because each panelist provided genuine advice regarding risk-taking and making your failures your successes. It was also really amazing to hear from females I so admire in the creative and blogging world and to hear where it all started for them. After our panels, some shopping, lunch and loads of photos, it was time to settle in and listen to the key note speakers, a pretty amazing trio for this conference! First up was Lauren Conrad with her co-founder of The Little Market, Hannah. Next up was Chrissy Teigen then Kim Kardashian. Each speaker brought a different background, creative perspective and piece of advice to the table, which made them all unique and enjoyable to listen to. We ended the night with confetti poppers, a tote bag full of goodies and an Uber ride to the local Fat Guy burgers all before passing out well before midnight. Despite the moments of “content overload” I felt humbled to have been at a conference with so many other creative women that were there to network, learn and create. I truly can’t begin to thank Create + Cultivate enough for bringing us all together for a day of fun in the LA sun!